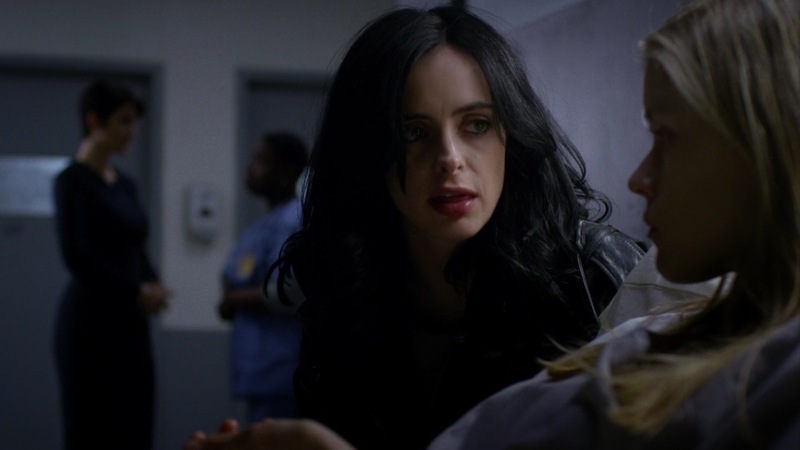 Jessica Jones on Netflix is the dark corner of the Marvel Universe. Iron Man, Captain America, Thor, and The Avengers are the shining stars of all of Marvel-dom, but that light has to cast shadows somewhere and those shadows land squarely on this new show. With its DNA firmly rooted in the comic book history it comes from, it is rougher, edgier, and more violent than any other Marvel offering on the big or small screen. Jessica, like her comic book counterpart, was at one time a superhero who gave it up after being assaulted by a man known as Kilgrave. “Assaulted” is putting it mildly as she was abused sexually over a long period of time while being held against her will. Kilgrave has mysterious mind control powers that he uses to make people do whatever they want. What makes his power so frightening is that he can potentially and suddenly take control of anyone, so on top of being traumatized by the man, Jessica has to worry about being close to anyone as they could suddenly be an enemy or worse yet, be forced to hurt themselves. We find out in the first episode that Jessica was able to escape Kilgrave’s control, but that somehow he is still alive and has come back to terrorize her again. What his ultimate goals are and how Jessica deals with him are the central thread from episode to episode. 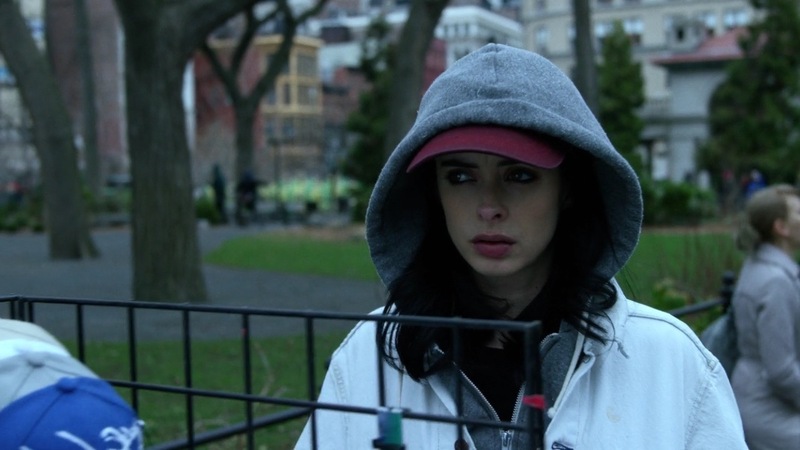 Krysten Ritter does a great job of coming across as the gritty Jessica Jones. She’s tough, feisty, and able. She can throw people across the room, lift a car with her bare hands, and fly. And she makes it seem believable. Mike Colton is equally convincing as the (literally) tough as steel Luke Cage. And Carrie-Ann Moss does an amazing take on lawyer, sometimes friend, and sometimes employer Jerri Hogarth who at times gives Jessica jobs to help out Jerri’s firm. In the comics, Jerri is a guy, so it was interesting that they took this direction with the character, but the way Carrie-Ann plays the character has much more depth and breadth. And Wil Traval plays NYPD officer Will Simpson. He plays a great counterbalance for Jessica and challenges her concept of the world. The interplay between them is fun to watch. 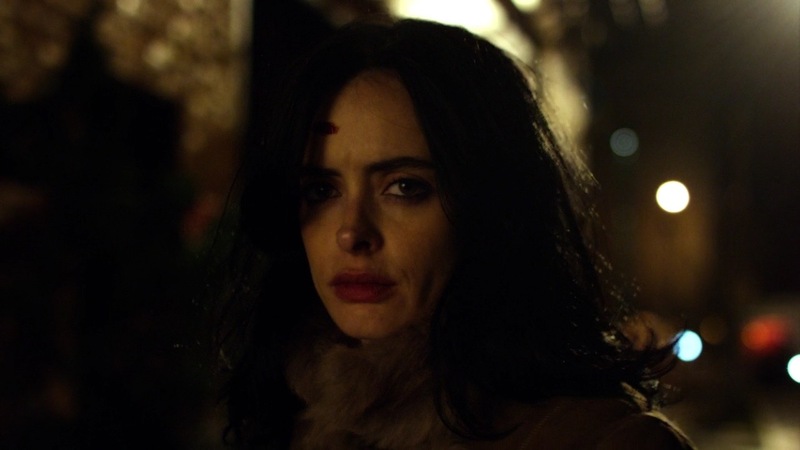 What makes Jessica Jones such an interesting show is the character development you don’t get in a 2-hour movie. It’s also a show that dives into tough concepts fearlessly – sexual assault, trauma, its aftermath, being a powerless victim, friendship, trust, honesty. The list goes on and on, but they are approached in interesting and dynamic ways. All the while, it stays true to the basics of the comic. Some liberties are taken – but for the better. In the comics, Kilgrave (known as Killgrave) is also called the Purple Man since his skin has purple tones. In the show, Kilgrave tends to wear purple as a prevalent color in his outfits, but is himself not purple. Jessica’s brief stint as a superhero is alluded to in the show, but not at all focused on (an appearance of her “Jewel” costume is even shown). Jessica’s only friend, Trish Walker, is actually AKA Patty Walker – who Marvel Comics readers know as the hero Hellcat. However, at the beginning of the show, there is no reference to her actually being the Marvel superheroine (although many people keep making references to her “red hair” which Hellcat has in the comics but which Patsy does not in the show). Side Note: I found it interesting that Patsy Walker was the title (and star) of one of the romance comics published by then Timely Comics which became Marvel Comics. Patsy crossed over into the Marvel Universe in an appearance as herself early in Fantastic Four history and only later developed her role as a superhero. For those of you who enjoyed Daredevil on Netflix, this is right up your alley. If at all possible, this show is even more grim and gritty and more sexual than Daredevil but the writing is solid, the plot is intriguing, and seeing how all of this unfolds into the greater Marvel Cinematic Universe is fun (throughout the show, they make references to other Marvel events like the Battle of New York). This is one show that is certainly NOT for kids! For good family fare, stick to Ant-Man, Guardians of the Galaxy, and the Avengers. But if you’re in the mood for a dark, intriguing super-hero show, this one will certainly fit the bill.